Unfortunately, LASIK is considered an elective procedure by (most) insurance companies. While it’s important to be able to see clearly, a life of contacts and glasses isn’t for everyone. 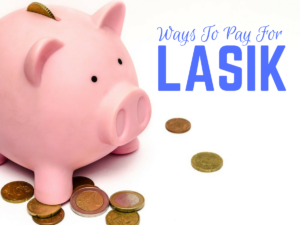 Today, we’re sharing some ways to pay for LASIK so you’re able to enjoy more freedom. Before making any decision regarding financial arrangements, we recommend scheduling your complimentary consultation. Not only does it help us to determine whether or not you’re a candidate for LASIK, it helps you to understand the financial obligations. Part of the consultation goes over those requirements so there are no surprises on the day of the procedure. This is the simplest way…and sometimes the most difficult. EyeLASIK accepts cash and credit cards. Some people have been saving for a while and have liquid funds to pay for LASIK upfront. However, if you don’t have enough saved up, don’t get discouraged. There are other ways to pay for LASIK. EyeLASIK works with CareCredit, a reputable medical financing company. CareCredit offers affordable financing rates and allows patients to pay over time. However, please be advised that they are completely independent of EyeLASIK. Their offers are subject to credit approval. For additional information about CareCredit, please click here. Though it’s inadvisable to ask for loans from family members, it might be a feasible option for some patients. Additionally, qualified candidates may consider talking to their personal banker regarding a personal loan. As per the 2017 guidelines, many flexible spending account (FSA) or health savings account (HSA) insurance plans consider LASIK an allowable procedure. However, be sure to check with your insurance company to confirm this. It’s a great way to utilize those insurance savings accounts. Are you still interested in finding out more about LASIK? Our consultations won’t make a dent in your savings account. They’re completely free of charge. Schedule yours today! (1) Who Will Be Performing My Procedure? EyeLASIK works with two surgeons, Dr. Tschoepe and Dr. Walters. They both have extensive experience and have performed thousands of LASIK procedures. Our surgeons are on a rotating schedule, so it’s dependent on when your surgery date is scheduled. (2) Who Takes Care Of Post-Op Follow-Up? Your current optometrist will be your primary point of contact after your procedure. However, if you experience any post-op issues, please contact us. (3) What Results Can I Reasonably Expect? Our goal is to have you seeing clearly without the need for glasses or contacts. According to Duke Health, the success rate is approximately 98%. (4) Do Any Other Medications I’m Taking Interfere With My Healing Time? Obviously, this varies on a case-by-case basis. If you take regular prescription medications, please let us know. It’s doubtful that these prescriptions will interfere with healing time, but it’s important to let us know beforehand. (5) What Type Of Laser Surgery Is Right For Me? That’s one of the main reasons we require a consultation. Our staff coordinator and clinic director review your eye history, including the type(s) of refractive errors you experience. If you’re interested in finding out more about the types of procedures offered at EyeLASIK, find out more by clicking here. 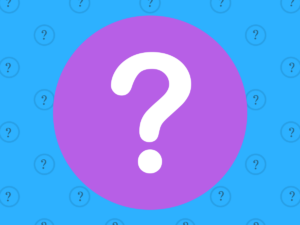 (6) Does My Medical History Affect My Ability To Get LASIK? Unfortunately, certain illnesses can disqualify a person from becoming a candidate for LASIK. While we will discuss this more in depth during your complimentary consultation, feel free to contact us ahead of time to confirm. (7) How Long Do My Eyes Need To Be “Stable” Before I’m A Candidate? The longer, the better! We generally find that candidates over the age of 21 who are out of school and have stable vision for over one year are more likely to see prolonged success. Still have more questions that we didn’t cover? Write them down and be sure to bring them to your consultation. We’re happy to help answer them! Like any medical procedure, it’s understandable to have some LASIK concerns. However, we’re here to set your mind at ease! One of the most common questions we receive about the LASIK procedure is the patient’s level of consciousness. Patients need to stay awake during the LASIK procedure. However, EyeLASIK Midland utilizes a specially designed tool that holds your eye open. It also helps to keep your head still during the procedure. Also, the laser technology used by EyeLASIK is designed for precision. It tracks the movement of your eyes movement more than 4,000 times per second. The best part? The actual procedure takes approximately 30 minutes! Patients are concerned about pain for any surgical procedure. LASIK is no different. However, prior to beginning, your eyes will be numbed with drops. You can expect to feel some pressure, but the actual procedure is pain-free. After LASIK, the most common complaint from patients is a “gritty” feeling and temporary blurry vision. You will be provided post-op prescription drops that have a moisturizing agent. Over-the-counter pain relievers are sufficient to relieve any aching patients experience. The cost of any procedure can be a sticking point for many patients. However, we offer complimentary consultations to help our potential patient evaluate their options. While the procedure is not covered by traditional insurance, patients with HSA or FSA plans are allowed to used those savings to cover the cost. Be sure to check with your insurance carrier. Additionally, we offer affordable financing options for our patients (subject to credit approval). Interested in finding out more? Just click here! No matter how simple, there is a level of risk involved with any surgical procedure. LASIK is no different. However, when you choose a reputable surgical center with modern, permanently-installed equipment, you can significantly reduce the chance of complications. Additionally, patients who carefully follow our post-op care guidelines are able to minimize the risk of developing infections. You want to see results. Literally. Some patients are nervous about how well the procedure will meet their expectations. However, 92% of patients reach 20/30 or better vision with their procedure. While there is no such thing as “perfect” vision, the majority of patients enjoy a life without glasses or contacts. We discuss many of these factors during your complimentary consultation. 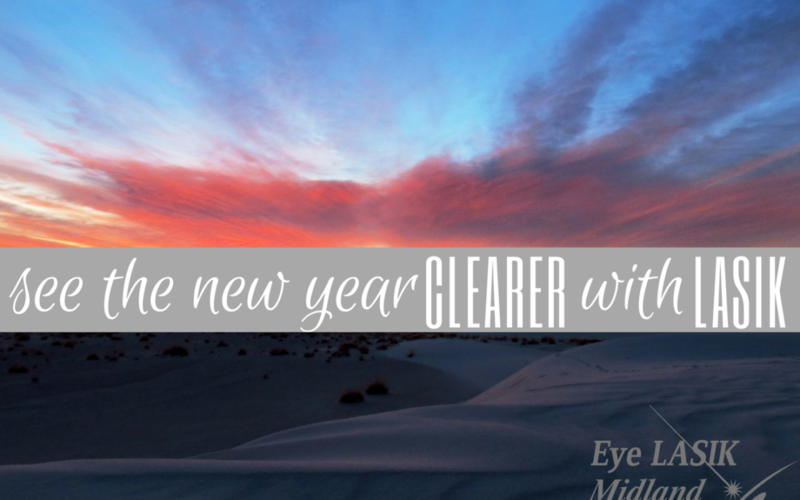 Still have some LASIK concerns? Our LASIK consultations are free. We focus on providing potential patients with as much information as possible so that you can make an informed decision about your health. Set yours up today! LASIK is an amazing procedure that has helped thousands of people improve their vision and their quality of life. The prospect of seeing more clearly without contacts or glasses is exhilarating! However, many people wonder what happens during a LASIK consultation. We’re here to fill you in on what to expect during your pre-LASIK appointment. Many people wonder what happens during a LASIK consultation. We’re here to fill you in on what to expect during your pre-LASIK appointment. 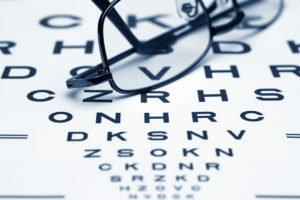 Though we don’t require a referral from your existing eye doctor, it certainly helps to bring your eye health records. It also helps to provide us with a family medical history, as well. Don’t have those readily available? That’s no problem. We can have you sign a release allowing EyeLASIK to request your records from your doctor, if necessary. Our laser coordinator and clinic director will carefully review your history. This review is not an examination. It’s non-invasive, and you won’t actually have the surgery that day. The purpose of taking a careful look at your eye history is to make sure that you are a candidate for the procedure. It’s important to determine this, as the surgery could be detrimental to non-ideal candidates. As we’ve discussed before, there are many different types of laser surgery. One of the most important aspects of determining this is…you! Each of these procedures is slightly different. It’s our job to choose the best option to maximize the benefit. Our state-of-the-art surgical suite is one of the best around! We like for our patients to see where their procedure will take place prior to the surgery. Not only are we very proud of our facility, we want each patient to feel comfortable with the environment and the process. Prior to booking your surgery, our administrative team reviews several pieces of information with you. These include pre- and post-surgical instructions, surgery date options, and payment arrangements. We are happy to offer affordable financing options. Oh yes, we missed the best part! Your LASIK consultation is absolutely complimentary. You don’t have to pay a thing. Now that you know what to expect during your LASIK consultation, what are you waiting for? Book your appointment today. 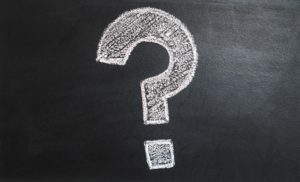 “Can I use my HSA for LASIK?” This is a question we receive pretty regularly. With the end of the year looming, it’s one we’ve been getting more frequently, as well. Today, we’re going to explain whether or not your health savings account can be used for LASIK. In 2003, health savings accounts (or HSA’s) were created as part of the Medicare Prescription Drug, Improvement, and Modernization Act. 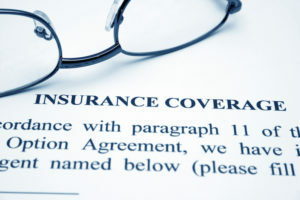 As a high-deductible form of insurance, HSA’s have no-copays and the deductible must be met “before insurance kicks in”. This means is that initial cost is higher, as in the patient must pay the entire deductible upfront. We’re glad you asked. Unlike other insurance plans, health savings account plans are tax-deductible. Additionally, the plan allows you to open a medical-use-only savings account, to which both you and your employer can contribute. Whether you use your insurance or not, you’re able to create a savings account. This option is great for a rainy day or elective procedures, like LASIK. Woohoo! So I Can Use My HSA For LASIK? You bet! Current HSA guidelines allow you to use the money you’ve saved up on certain elective procedures, including LASIK. Isn’t that exciting? Considering how much you can save on contact lenses and glasses over a lifetime, this is an excellent chance to save money when you get LASIK. If you have questions, be sure to ask your insurance carrier and a member of the EyeLASIK staff. However, we recommend that you set up a complimentary consultation first. If you’re interested in saving up for LASIK using your employee insurance plan, a health savings account might be for you!